Portland Fire & Rescue responds to blaze in 7600 block of North Interstate Avenue in Portland. Two adults escaped from harm after a blaze broke out inside their ground-floor apartment, fire officials say. 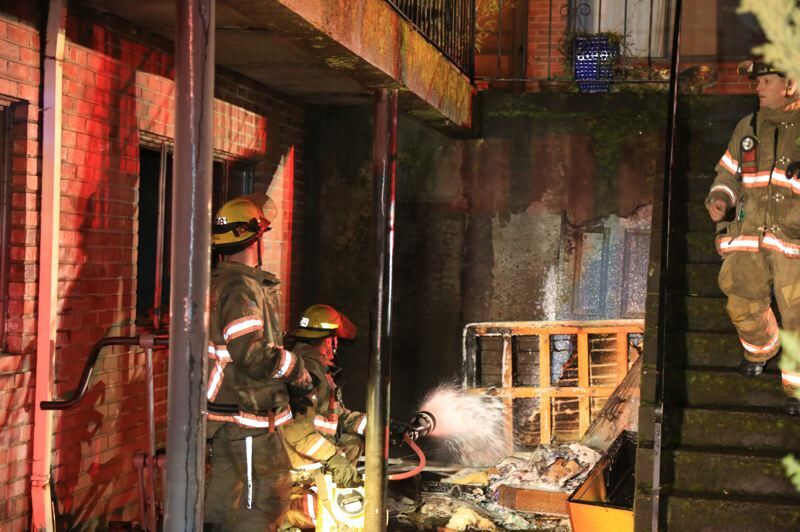 Portland firefighters responded to the apartment in the 7600 block of North Interstate Avenue around 10:20 p.m. on Sunday, April 14, according to a news release. Crews found a bedroom burning at the time of their response. The occupants had already fled to safety. First responders extinguished the blaze, containing it to a single room. 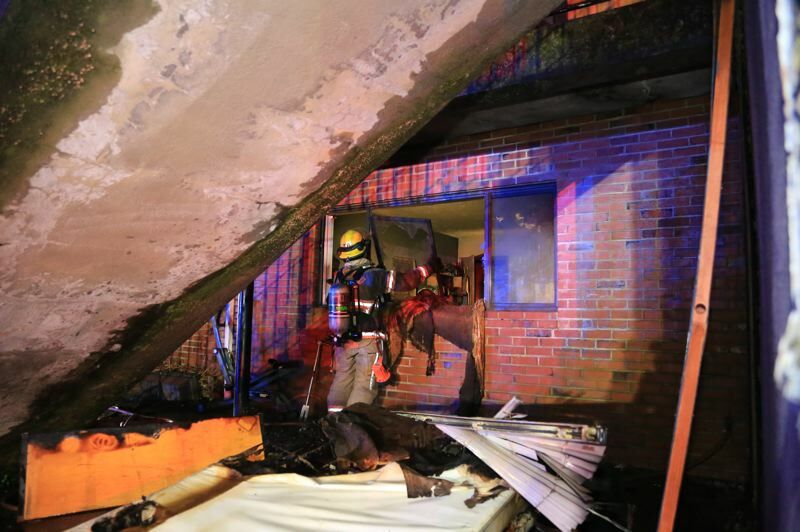 No injuries were reported, and no other apartment units were impacted. The two men living in the apartment were displaced and are seeking assistance from the Red Cross. "This fire started when one of the residents dropped a match while attempting to light a candle," authorities report. "PF&R asks residents to use extreme caution with open flame."